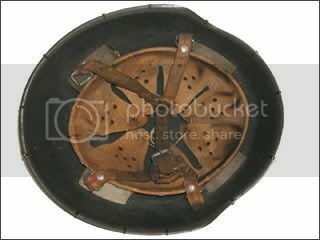 This model steel helmet was designed during World War II but did not see service until after the war. The first model featured three external rivets and the pre-war M31 style liner system. 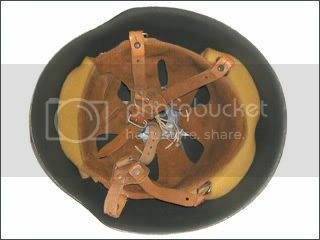 Here the Model 56 helmet as seen in use: one of the first people to escape across the Berlin Wall was an East German soldier, complete with his helmet. This final version of the Model 1956 helmet was updated in 1970 and featured a redesigned liner system with no external rivets. 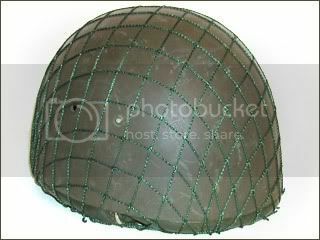 Polish made Model 1963 paratrooper helmet from East German surplus. 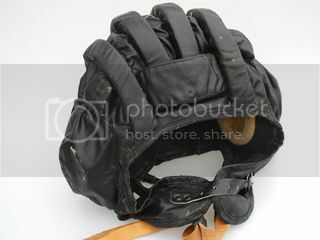 This helmet was widely produced and used by various Warsaw Pact nations during the Cold War. 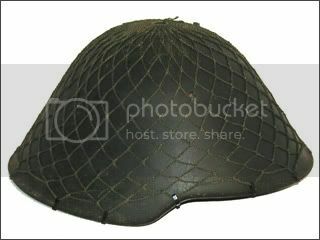 Tanker helmet in the Soviet design, made of black oilcloth and used by the Volksarmee. 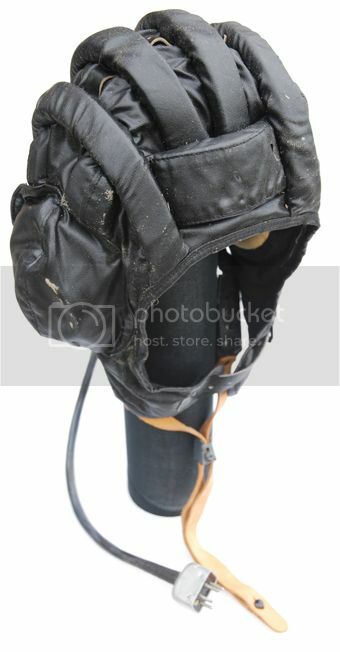 The WWII style M38 Fallschirmjäger-Versuchshelm ("Paratrooper Test Helmet"), worn by the Bundeswehr Fallschirmjäger in the late 1950s. 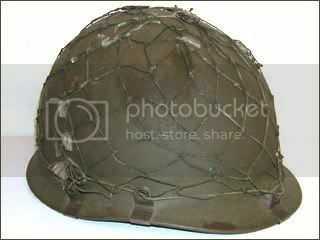 These were widely issued as test helmets from 1955 to 1961. 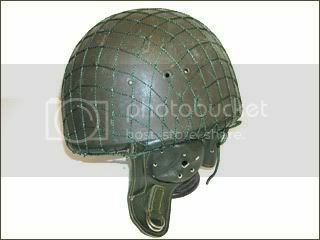 It has the profile and shape of the M1 American helmet but has the same type of steel used to produce the wartime M35/40/42 helmet models. 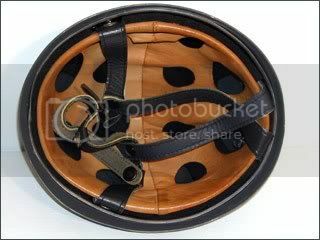 It also features a modified M31 liner system held in place by four metal bolts, and an American style chinstrap system. 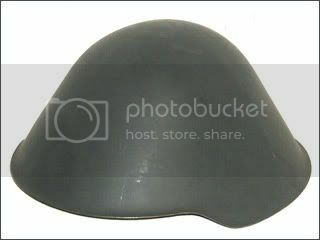 This helmet model was used until the reunification of Germany. 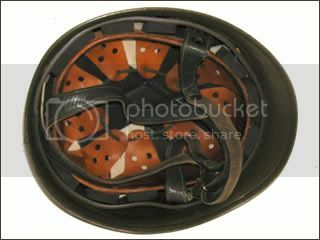 This helmet designed used the basic American M1 shape along with a redesigned German style liner, which is combination of the M31 and M37, and double chinstrap. 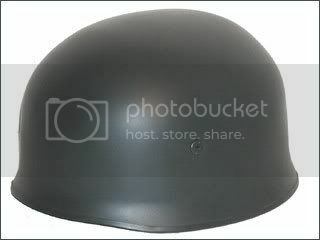 This helmet features the standard external German paratrooper helmet rivets. 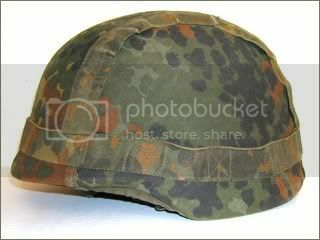 The current issue Kevlar helmet of the Bundeswehr. 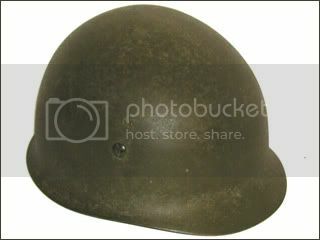 This helmet retains the basic shape of the German Model 1935 steel helmet.